Save SAR 0 (0%) Earn 49 Shukrans What is Shukran? Shukran is the Landmark Group’s award-winning loyalty programme in the Middle East, which allows you to earn Shukrans when you shop any of our brands. 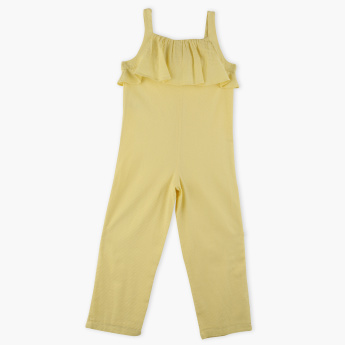 Your girl will look her charming best when you dress her up in this sleeveless jumpsuit. 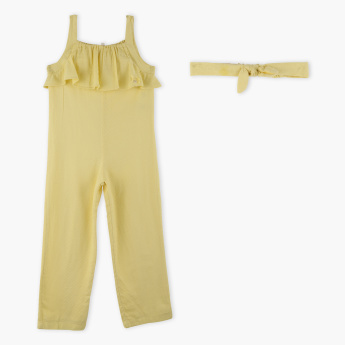 With a lovely frill pattern, this jumpsuit is accompanied by a matching headband.